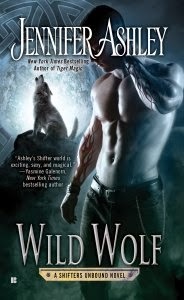 I love this gorgeous cover! This is for Perfect Mate, Nell and Cormac's story that was originally published in Unbound last March. Due to popular demand, the publisher has agreed to pull it out of the anthology and publish it as an e-book on its own for $1.99. It will show up on Kobo and other booksellers as well. Thanks for asking for this! Dark & Deadly--8 Bad Boys of Paranormal Romance--99 Cents!! Dark and Deadly: 8 Bad Boys of Paranormal Romance is Live! Enjoy stories and novels, short and long, from Jennifer Ashley, Felicity Heaton, Erin Quinn, Laurie London, Erin Kellison, Bonnie Vanak, Caris Roane, and Alyssa Day! Most are brand new, never before published! I'm very sorry about this glitch in releasing. There was a mistake (I am told), not a deliberate withholding. Also out on Kobo and in Audio! 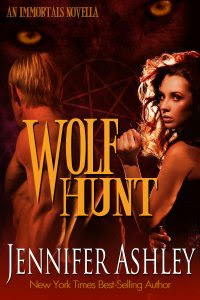 I'm considering writing more in this series (particularly Septimus's story), which I'd bundle with Wolf Hunt in a print volume. Stay tuned. And thanks readers, for your support! Feral Heat made it to number 10 on the New York Times Bestseller list! and Number 35 on USA Today!